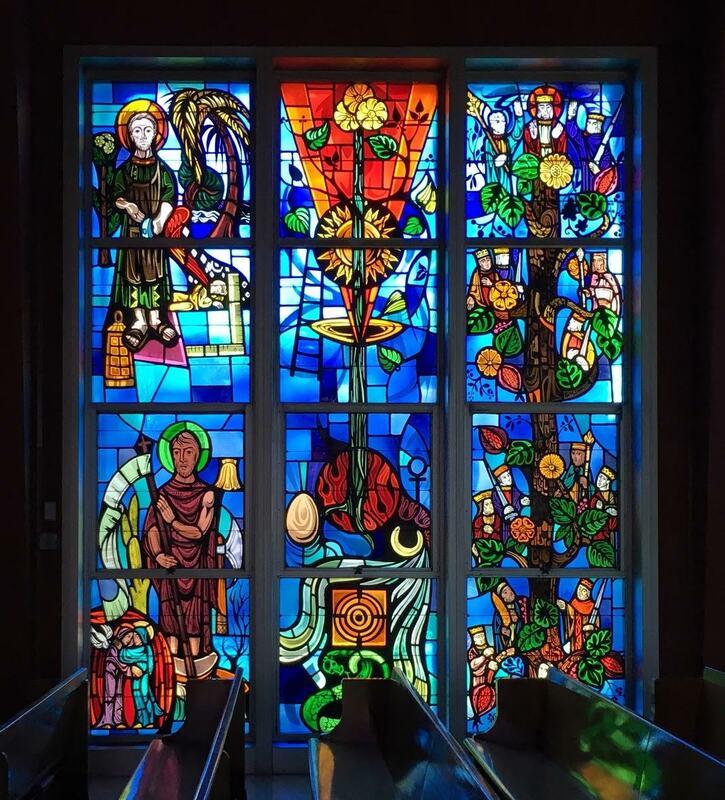 This is perhaps a more autobiographical post than others as I happened upon Bolton Morris’ work as I was just beginning my own pursuit of liturgical art. 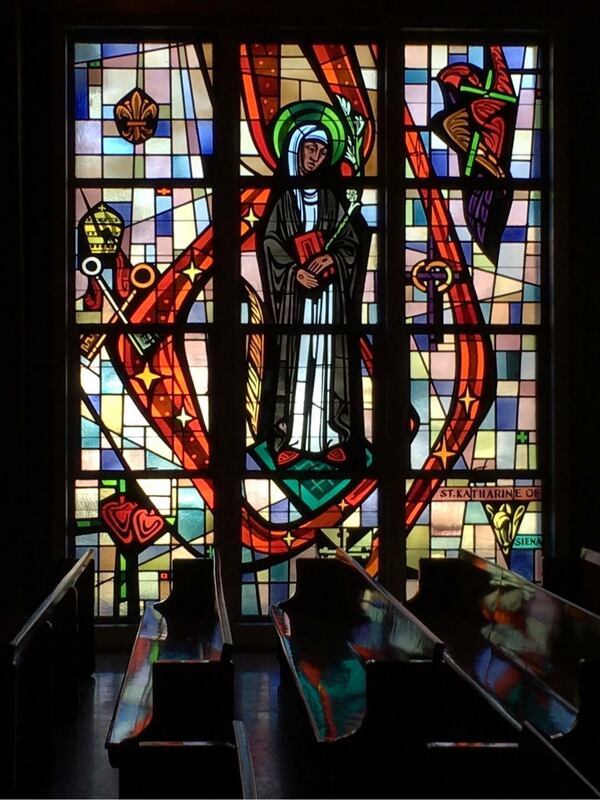 I had a meeting with an advisor who suggested I have a look at his then new windows at St Katherine of Siena parish in Wayne, PA, which was only one block from my own parish of St Mary’s. I had in fact seen them and admired the new church. He thought I ought to meet him and quite by accident a few months late, I did and it was unforgettable. St Katherine’s Church was newly built circa 1970 to replace a noble, but somewhat smaller Victorian gothic church that had been fitted up with elegant furnishings. The new church was the work of Dagit Architects who were for decades the principal architects for the Philadelphia Archdiocese and their work is somewhat mixed, no doubt as with many design projects, due to budgetary constraints. Wayne is an affluent town and so it remains a rather successful building of its time. The glass, too, represents the liturgical design that was au courant in those days. One of the grandees of the parish was Henry Clifford, curator of painting of the Philadelphia Museum of Art who had been responsible for some of the elegant fittings in the old church and he knew Bolton’s work and his family as well, so Bolton was the natural choice for all the stained glass in the building. He admitted, no insisted, that it wasn’t his best work, but these are a few examples from this enormous project. This entry was posted on February 28, 2016 at 8:07 pm and is filed under Uncategorized. You can follow any responses to this entry through the RSS 2.0 feed. You can leave a response, or trackback from your own site.